In the left panel of the WebSphere web console, expand Security and select Administrative Authorization Groups. Give the security domain a name, assign the group to one or more components, and select OK. 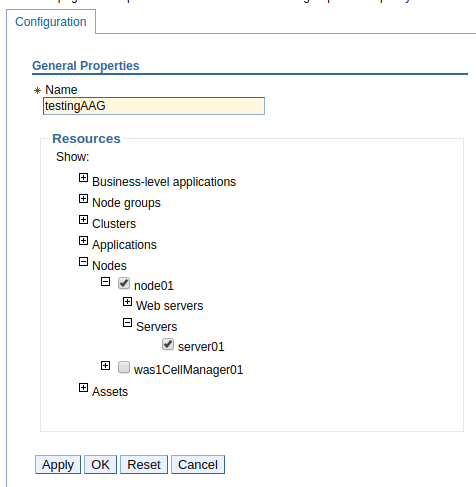 In this example, a security domain named testingSD has been created.